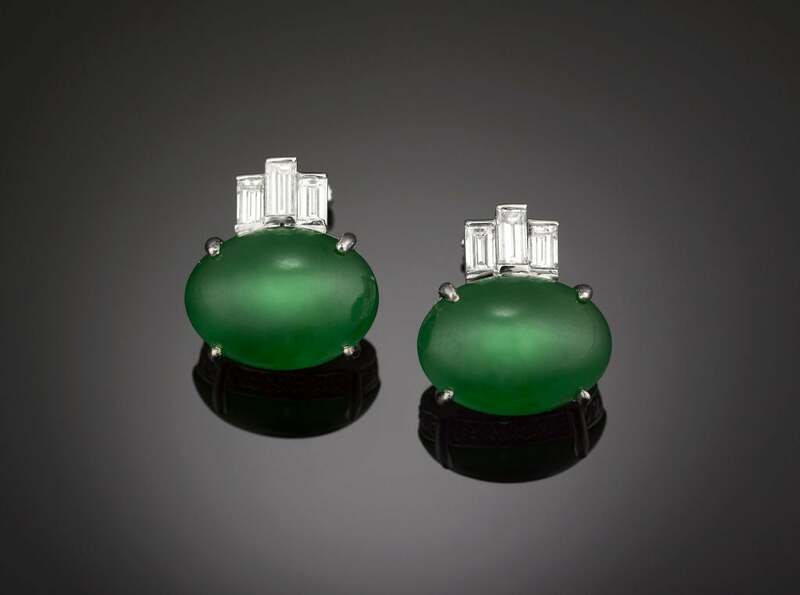 The majesty of Imperial Jadeite is exemplified in this elegant pair of earrings. 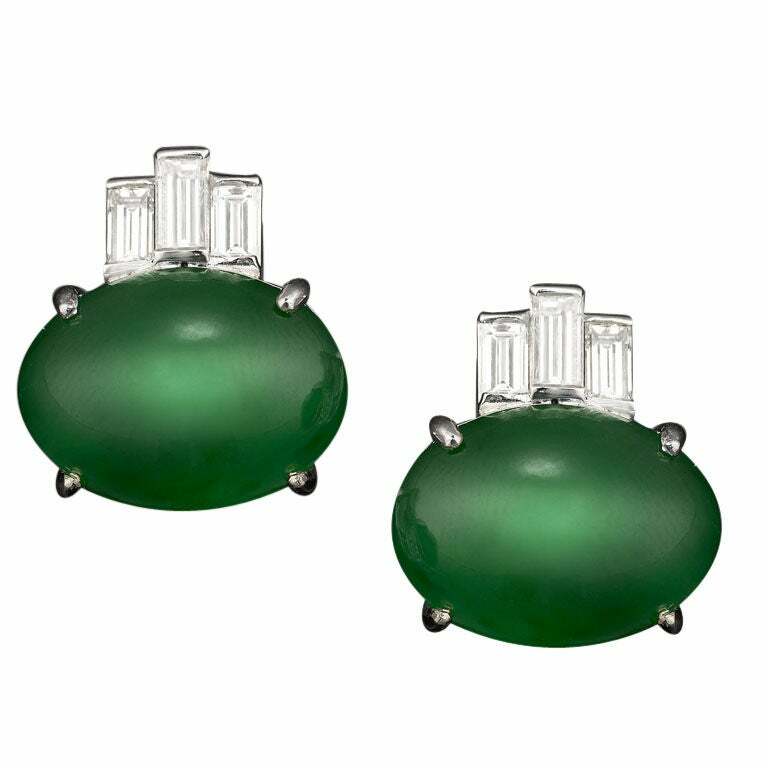 Two incredible Jadeite cabochons, exhibiting the highly desirable, vivid emerald hue and glasslike translucence, are crowned by three emerald cut diamonds each in an 18K white gold setting. Imperial Jadeite is considered the most valuable non-gem stone in the world. A symbol of heaven and earth once worn only by the Imperial family in China, this luminous stone hails only from Burma and is known for its exceptional hardness and fine texture. 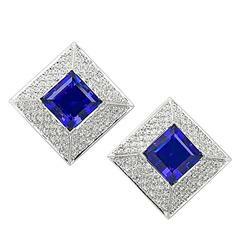 It is also extremely rare, and to find two stones of such amazing quality is truly extraordinary. Diamonds weigh approximately 1.00 carat.